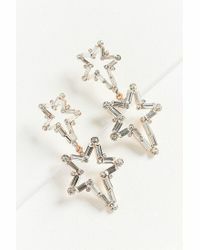 See more Urban Outfitters Earrings. 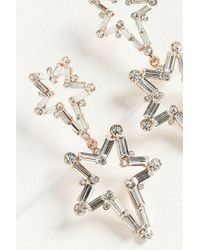 We check over 450 stores daily and we last saw this product for $57 at Urban Outfitters. Clear. 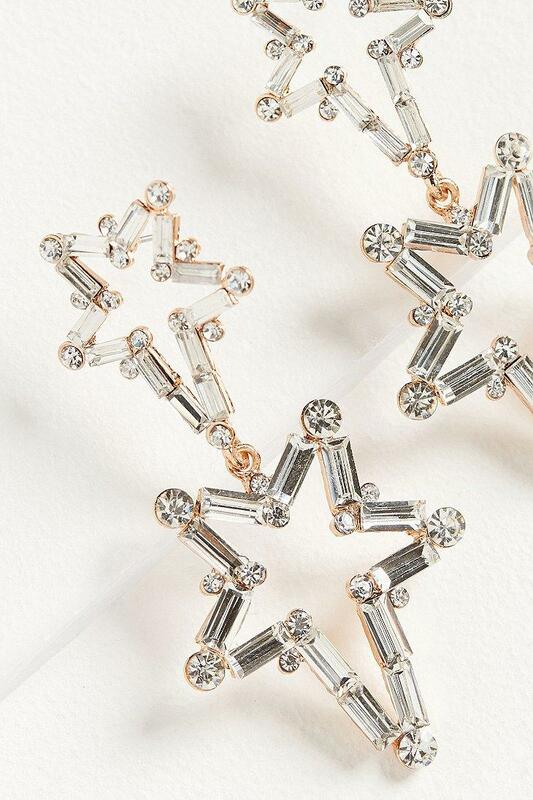 The spotlight is on you with these glittering celestial-themed earrings from ZHUU. 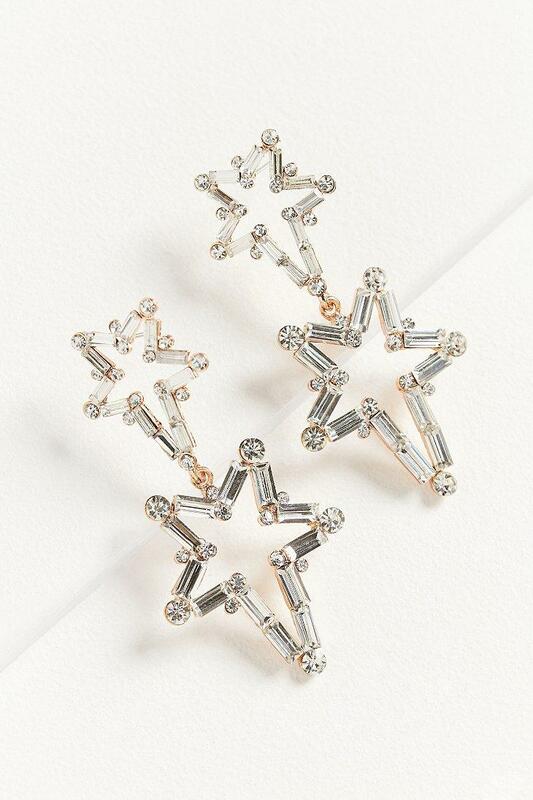 Shimmering star-shaped statement earring with gems that catch the light at every ankle, complete with post closure. Brass, glass. Wipe clean. Length: 2.5". Width: 1.5".